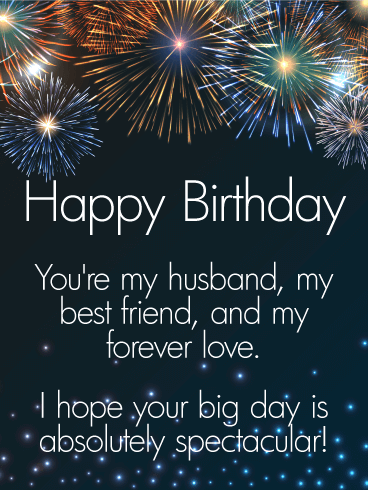 This stunning happy birthday card will be sure to impress your husband on the most important day of the year, his birthday! It has an upscale look and would be perfect if only the best will do. The beautiful fireworks are displayed perfectly in the sky and contain bright shimmering colors that look spectacular. The golden message will let your husband know that you will love him for the rest of his life, there is no better present than that! If this happy birthday card has caught your eye, there is a good reason for that, it's fabulous. Your husband is going to love it! With its magnificent fireworks bursting in the sky, it surely represents an occasion worth celebrating! 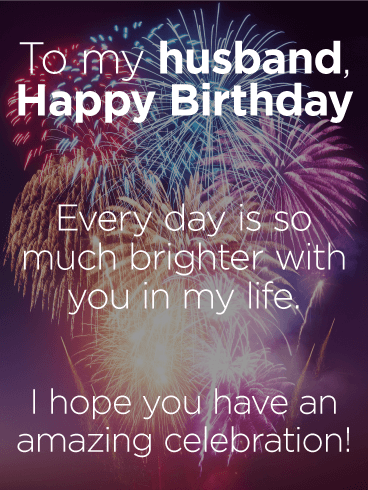 A special message wishing your husband a happy birthday and a very special day from the one he loves will make his birthday even more special. Still see fireworks when you kiss? 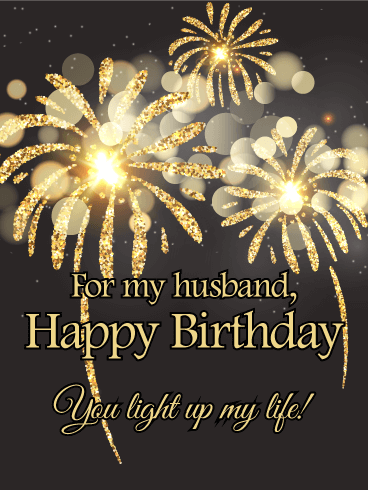 Send your husband a birthday card to light up his day-just like he lights up your life with his love. 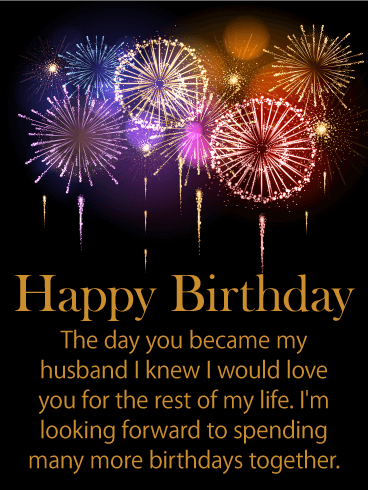 Wish your husband a very happy birthday with this enchanting birthday card. Remind him how dear he is to you with a thoughtful, little birthday card! What a surprise! He's sure to adore it. He's so many things to you: husband, friend, true love. 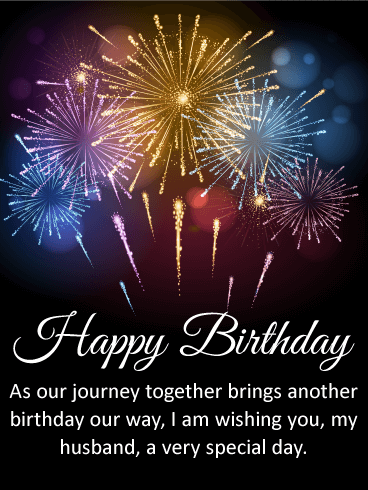 On his birthday, remind him how much he means to you with this festive birthday card! A night sky full of bright, bursting fireworks creates a spectacular backdrop for a spectacular celebration. The heartfelt message below adds an extra special touch for someone so special to you. The most colorful fireworks light up the sky to help wish your husband an amazing birthday! And the touching message reminds him how much he brightens each and every one of your days just by being the person he is. What a wonderful way to make him feel loved and remembered.